Regenerative medicine remains at the forefront of medical innovations and mesenchymal stem cells (MSCs) offer new hope as a treatment for several diseases. As new cell therapies become licensed, and reach the bedside, demand upon manufacturing capabilities will increase exponentially. Technology solutions for scaled up production of this living material need to meet demand, in a safe and efficient manner, both from the regulatory and economic perspectives. Clinical trials are in progress using stem cells, for a range of serious diseases including arthritis, diabetic complications and liver disease. If some or all of these therapies enter the clinic, the demand for stem cells will dramatically increase. At present the production of stem cells is a complex, highly skilled and labour intensive task, leaving the process open to human error and contamination. Manual processes are capable of generating sufficient material for clinical trials, but don’t offer the scale required to treat large numbers of patients, globally. 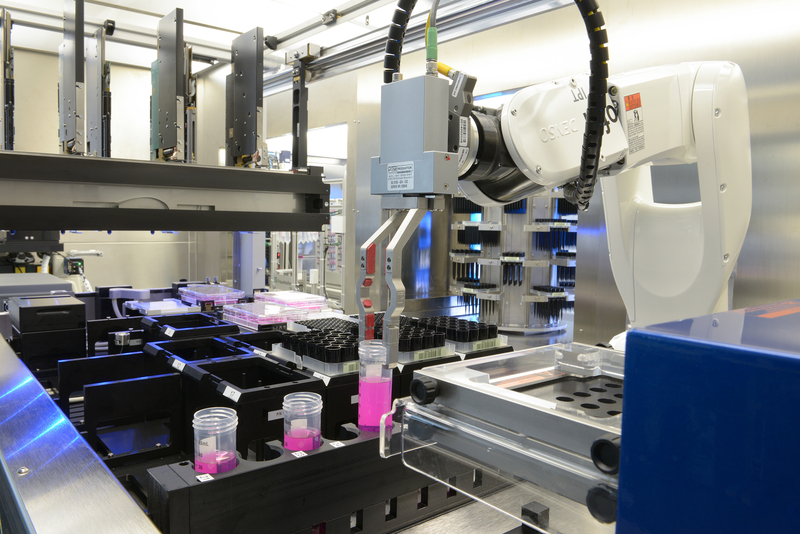 Cell and Gene Therapy Catapult (CGT Catapult) is working as part of Autostem, a European consortium of 10 partners developing an automated production line for mesenchymal stromal cells (MSCs). The project crucially aims to develop a system free from manual intervention, an automated system, monitored externally and capable of delivering large amounts of high quality cells suitable for use in the clinic. The consortium in funded by a Horizon 2020 grant and is a multi-disciplinary mix of engineers, scientists and technology companies. 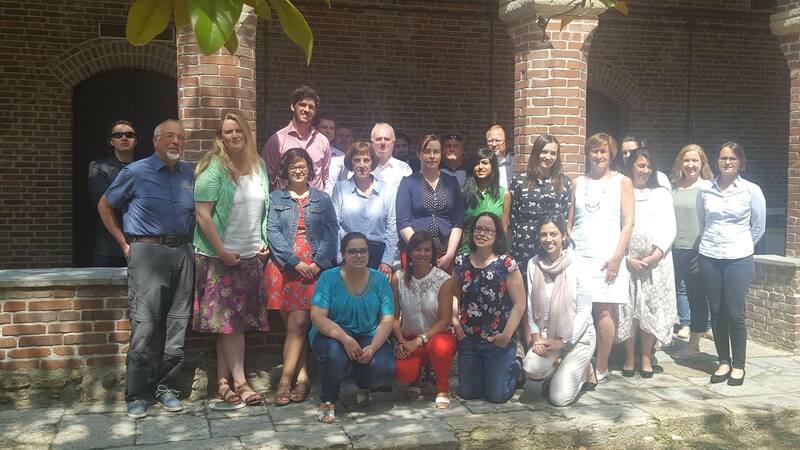 The project is led by Dr Mary Murphy of the National University of Ireland (NIU), Galway, with Fraunhofer Institute for Production Technology, Orbsen Therapeutics Ltd, ZellWerk Gmbh, Crospon Ltd, University of Aston, University College Cork (Tyndall Institute), the University of Genoa and Pintail Ltd each bringing different skills, capabilities and experience to the project. CGT Catapult are providing end to end support evaluating the system design, GMP requirements, regulatory perspective, risk and health economics. Working closely with NUI Galway who provide the manual process and the Fraunhofer Institute, who will assemble the AUTOSTEM system, our continuous support will ensure that the current project delivers a system suitable for GMP production and inclusion in future clinically lead projects. CGT Catapult are ensuring that the end point user and commercial landscape are never far from the development plan. This technology will provide a method to produce a large amount of high-quality cells to support the cell therapy industry as treatments enter the clinic. The cells will be produced in a highly automated process, removing the risk of error and contamination and ultimately contributing to the safety of treatments offered. For more information on the project, visit the AUTOSTEM website. The Autostem project has received funding from the European Union’s Horizon 2020 research and innovation programme under grant agreement no 667932. The material presented and views expressed here are the responsibility of the author(s) only. The EU Commission takes no responsibility for any use made of the information set out.